Preheat oven for sweet potato puffs and/or fries and bake for instructed amount of time according to bag or recipe. 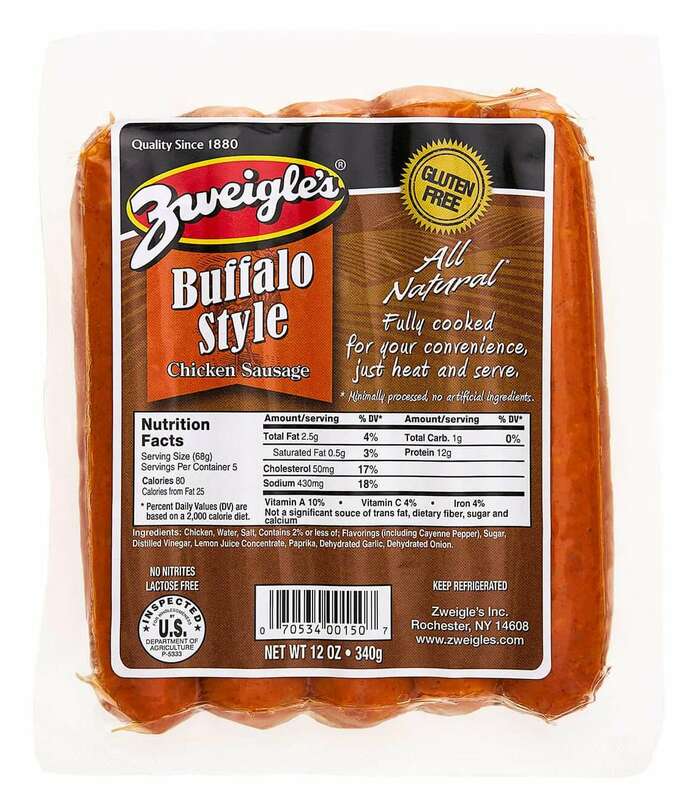 Heat buffalo chicken sausages in pan or in microwave until warm. 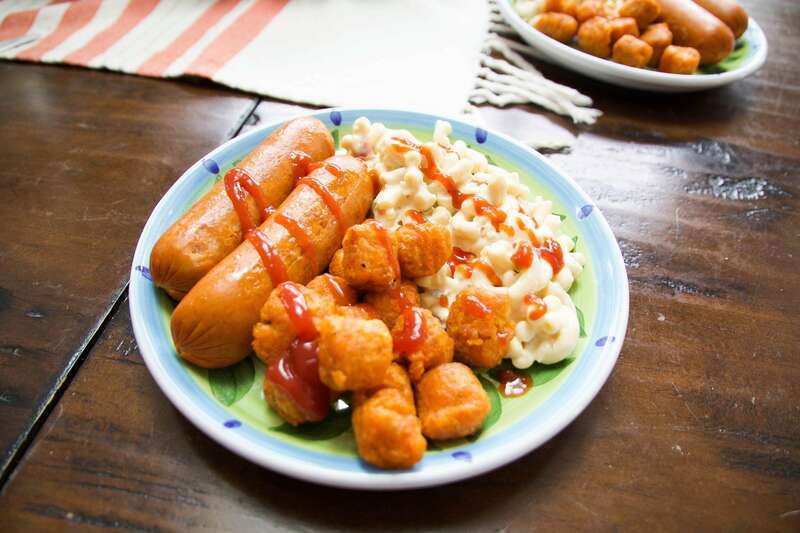 Add sweet potatoes, mac salad, and chicken sausage to a plate, dress with desired toppings, and enjoy!